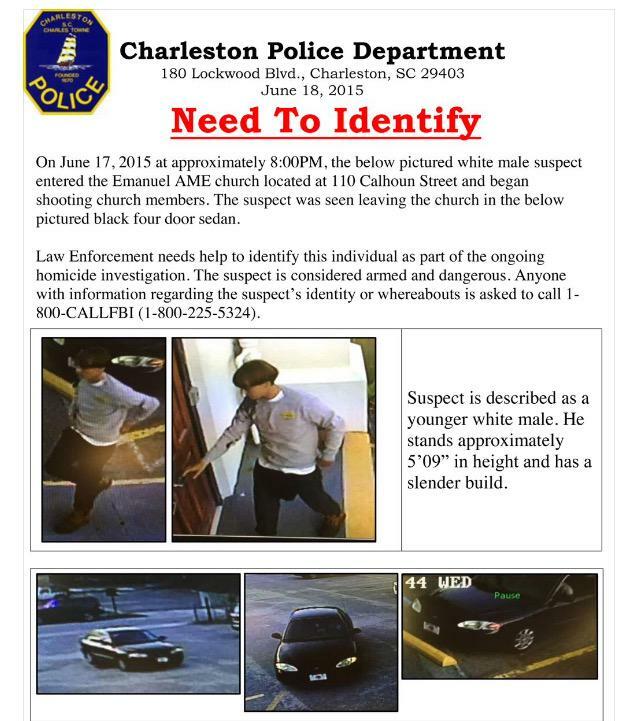 The suspect, Dylan Roof is now in police custody! He was found in NC. If anyone knows anything or comes across this suspect please call 1-800-CALLFBI. See the flyer below.